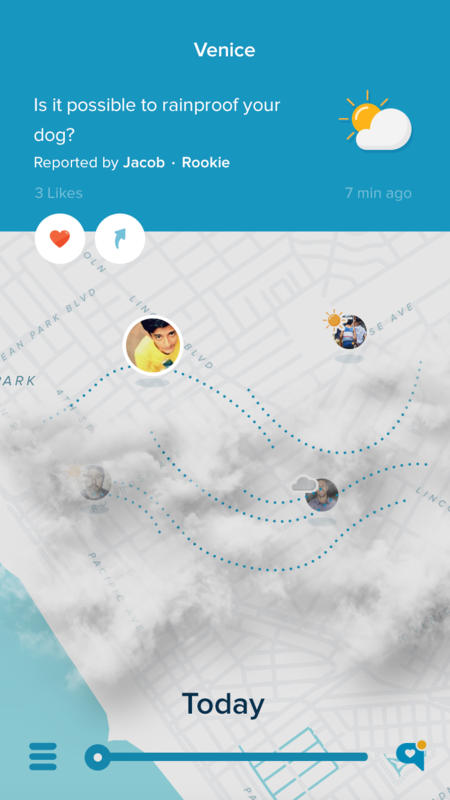 “Will there be a thunderstorm today?” is the big question I set out to solve when I started PressureNet. During Canadian summers in Quebec and Ontario, where my cofounder Phil and I lived, the answer is usually “who knows?”. The local weather reports would say things like “30% chance of a thunderstorm this afternoon”. But the problem is, “this afternoon” spans about 4 hours, and “30% chance” means that it probably won’t happen – but maybe it will? This kind of weather experience was completely useless to me, so in 2009 I set out to improve it. I had spent years watching local radar data from McGill university and learning about storms so that I could improve my own understanding of when a storm would arrive. I found that by staring at the radar data for a few hours in the morning, I could do a better job guessing when a storm would arrive than the official forecasts did. This seemed like something I could automate, so I started a python script to gather and process the data. It didn’t work. All the existing datasets and models in the world weren’t able to accurately predict the existence or timing of a potential thunderstorm. My idea of building software on top of these radar stations was doomed to fail. And then, our smartphones got smarter: Google began adding atmosphere sensors to its tablets and smartphones in 2011, creating a new and incredible opportunity for weather prediction. Could this be what enables us to actually predict thunderstorms with consistency and accuracy? Perhaps. There were many problems ahead, though, some of them were obvious from the beginning. For example, I had never built an app before. I solved that by learning Android development in my free time (I made a clock! Then a timer! Then an analog clock! I was on a roll that summer). So after months of development, on October 8, 2011 PressureNet was born as the first smartphone network of atmosphere sensors. We used barometers in Android phones to crowdsource billions of atmosphere measurements. The initial purpose of the barometer-in-your-phone was to be an altimeter, so Google could improve their mapping and location services. We re-purposed these barometers into a weather network running on smartphones by making an app for users to see their own barometric pressure data and automatically contribute to the service. This was a small hit in the Android-weather-nerd community. And of course, since we believe that open source software is important for modern science, we made our software open and shared the source code for our Android SDK and ourPressureNet app. 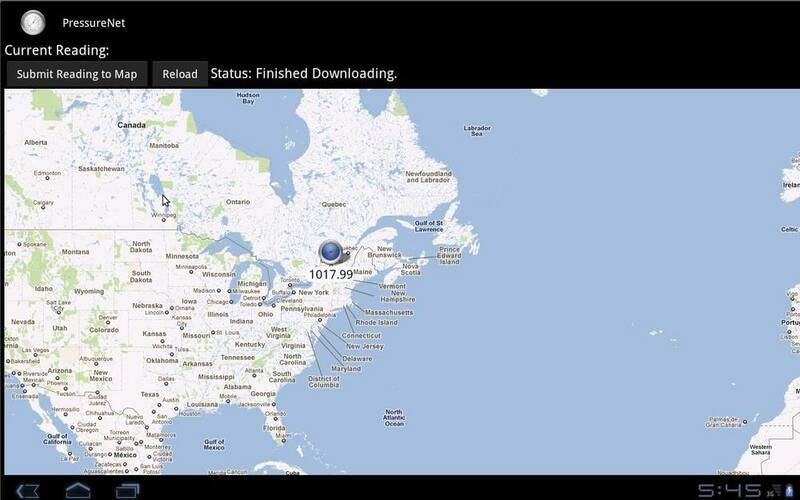 The Canadian Thanksgiving weekend when we launched PressureNet was the most exciting weekend of my life. There was an immediate response from everybody we showed it to: wow, that’s so cool! But the excitement stopped there. Version 1.0 of PressureNet was very simple, having nothing more than a button to submit your pressure data (manually!) and a map of other pressure measurements nearby. It was clear that we had a lot of work to do. We quickly learned that merely having access to this new data source still wasn’t sufficient to answer the initial question: will it thunderstorm today? Since people are constantly moving around, and their phones change altitude and location rapidly, the data itself is very noisy and difficult to use in a weather model. Additionally, having just a few thousand people across the world sending their pressure data isn’t sufficient to make a difference compared to the already-existing weather networks. We would need millions. Maybe billions. Aside from finding millions of excited people to join PressureNet, we had two major challenges: first we must clean up and quality-control the data, and then second, use it in a weather forecast. We became excellent at the first part, as our team included very smart data scientists and software developers. We tried a number of different approaches to cleaning the data, and found a lot of ways that don’t work. Eventually we were able to successfully demonstrate an improvement in data quality, enough to trust each phone’s pressure trend and create a valid input to a weather model. However, we struggled to create a weather forecast model that could successfully use this data to produce more accurate results. We partnered with researchers (like Professor Cliff Mass) and worked with local environmental prediction agencies to study the data and assimilate it into weather models. This is a big challenge and the work is still ongoing. PressureNet grew to become the largest weather sensor network ever created, with more than 500,000 networked sensors all contributing live data to scientists. This piqued the curiosity of the media, and resulted in interviews with BBC, Wired Science, MIT Technology Review and others. This was the first time that it became clear to us that we were actually building something that might work; so we applied and were accepted into a startup accelerator in Toronto, and began working at MaRS. While we worked on solving our data quality and scale problems, other people started to notice that this could be a revolution in weather forecasting. And not just for the question, “will it thunderstorm today?” but also every other weather question you might have. Is my morning commute going to be slower because of the rain? Will I miss my appointment? Where is the best place to go on a picnic this weekend? Which seats at the stadium will have sunlight, or will they all be covered by clouds anyway? What about sunscreen, should I wear sunscreen today? 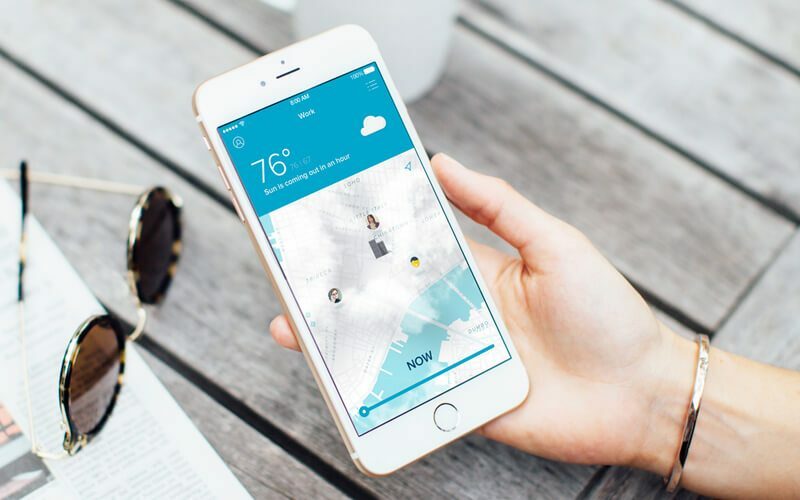 And so we were not alone with PressureNet: other companies were starting up, like Sunshine, who realized the potential in using our smartphones to radically improve our lives by helping us understand our weather in a more personal and local way. Sunshine and PressureNet were developing some of the same technology for the same reasons, and so we decided to join forces and solve these problems together. Sunshine is making the best weather service anyone has ever made. We believe in a connected world, where we’ll all be able to be prepared for unexpected events. It’s a pleasure to join the Sunshine team and to continue the increasingly important work of helping people receive accurate and useful weather forecasts. What’s next for PressureNet? We are integrating our software and services with Sunshine to work together seamlessly. We are using the strengths from both companies to create the best weather experience we can for your smartphones. And yes, we will be releasing an Android version in the future (send me an email to get on the Beta list, android@thesunshine.co). Additionally we will continue our lead generation projects in order to spread wider awareness of PressureNet as well secure valuable funds to help develop the app and site infrastructure in the future. I’ve been working on mobile weather software for 6-7 years now, but it still feels like just the beginning. The next few years are immensely exciting, particularly because so many new people will be getting their first smartphones and downloading their first weather app. Many of them will download Sunshine, and it will seem natural from the beginning: of course your weather app is contributing data to a P2P network of locally produced, accurate forecasts. Of course your smartphone is carrying a dozen meteorological sensors. Of course the most accurate weather data comes from people on your neighbourhood. But it wasn’t always that way. It has been my life’s work to make this happen, and we’re only just getting started.